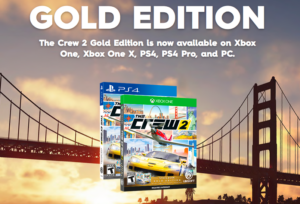 I have always enjoyed playing the original Crew for all these years, until the newest iteration of the game Crew 2 was launched. 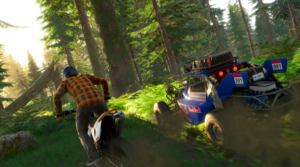 “Crew 2” is better and more fun to play than the previous iteration. 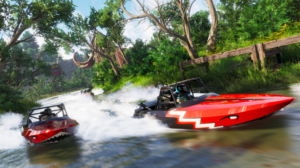 With the new pilot program, players get to experience water and sky rides too, though that doesn`t mean that the roads ain`t any fun. The map is humongous and i seriously mean it. Taking a ride or a drive from one region to another is just pure bliss. 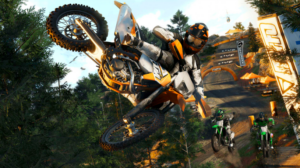 The players will get to enjoy the huge map, starting with the lush green forests to the desert sand trails, it doesnot matter which vehicle you take, its always fun to ride on the dirty off roads. Developer Ivory Tower`s design team have tweaked the game’s graphics engine to compliment the huge map. Inclusion of planes mean that the draw distance needed to be increased. The team did a pretty good job with that, but in some instances the buildings look like toys, trees are not defined to a great extent, this happens specially when the player flies too far up. I wish they did a better work with the weather elements as well, add a bit more rain maybe. The best time to take your ride out for a spin is during sunrise or sunset. The graphics will amaze you at these times. Other than that, I am surprised to see the details even at night. A bit of color tweaks on the monitor and the game feels real. During the day though, in cities, i feel the environment could have been a bit better. The buildings feel a bit cartoon-ish. The worst is when you change to cockpit view and don’t find any of the mirrors reflecting, hope this will be fixed with a future patch update. The game’s got an arcade feel to it and to keep things real, it’s all about racing in here. The AI is not the best and its quite aggressive against you in certain races, which means that the races are not always easy to win. Every millisecond down the corner counts, players get upgrade parts after every race, and yes, you can do a single race numerous times to get better level parts and prize money, also the upgrade parts are usable among all other vehicles that support them. 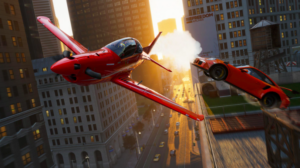 There are various disciplines among the three modes (road, air, water), completing which can earn players various high-end parts and also a lot of in game money. One thing to notice is that the cars don’t come cheap either. I had to do a single race probably half a hundred times to buy a Huracan and a Ducati bike. So, don’t try wasting your money within the game. The controls are similar to arcade type games, so the vehicles are not that hard to move around. During jumps, the AI makes sure to keep the car stays steady during touchdowns and doesnot roll about. If you want to make things a little harder, try using a racing wheel and turn all vehicle stabilities off. This game provides players with a lot of luxurious licensed vehicles to drive around. My favourite being the new Camaro and the Huracan. The cars are categorized into four. First slot will have all cars within 280 max level, the other two slots have drift and drag cars. The last category is of the lush hyper cars which start from a whopping 1000000 in game credits. 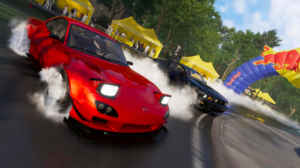 The customization options in not as many as in NFS Payback or the 2015 version of NFS, but it is still enough to suit the needs of the players. 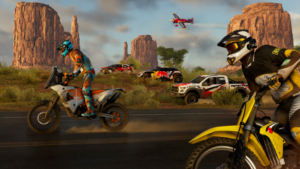 Freestyle, Pro Racing, Street Racing and Off Road are the four disciplines in which players get to drive all the vehicles in the game. In India, PS4 and XBOX ONE users can get physical discs of the game, the standard version should cost Rs 3999, the premium versions of the game should cost a bit more but comes with various perks. PC players can download it either from XBOX LIVE on windows, Steam or on UPLAY. Having a credit card is beneficial here, cause most debit cards are not accepted. Another option is to head to G2A and get the game there. Here too you would need either credit cards or a PayPal account. If you want to pay with a debit card, just click pay with Paytm and it will charge a service fee for transaction, it’s like an extra Rs.2000 for a Rs. 4000 game. Rest you do the math, its quite costly this way. if you desperately want the game, you can definitely try these methods.